“Hello and thanks for reading this listing for my truly beautiful 1985 Sequential Circuits Prophet 2000 sampler. I really do think this one of the best 12-bit samplers of the era due to the flexible multi-timbrality, build quality and that fantastic rich Curtis resonant filter (as used in many a classic analogue synthesizer, as I am sure you know). This Prophet is near as damn it in PERFECT condition. Barely a mark on it. 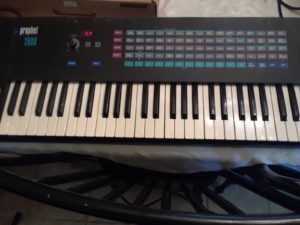 I have recently serviced it, and cleaned every key contact ensuring every velocity-sensitive key works and also does so over midi, controlling other modules as required. The fantastic futurist membrane-buttoned panel works perfectly with every button and LED working as it should. What a great design it is. No crackles from the balance or volume potentiometers. When cleaning the unit I did take note of how easy it is to gain access – 6 screws and the lid flips up, and another 2 release the whole keyboard bed for straightforward cleaning. It’s even signed by a Sequential Circuits engineer inside the case. Not only is it in amazing condition but this particular 2000 has a library of about 40 disks loaded onto SD Drive which is fitted into the drive bay. This frankly makes the unit far more usable and you can add more to your hearts content. 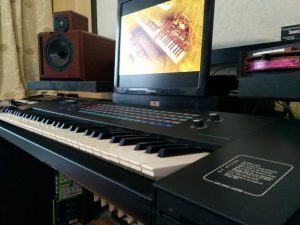 Oberheims, DX7 presets, Hammond samples, Emu library sounds, Synclavier and Fairlight library sounds, even complete EMU SP12 and TR808 kits spread across multi-samples….they are all on here at your fingertips in their 12-bit glory. Truly amazing what you can do with only 256kb of RAM. You can still buy a 512kb upgrade online, but this one is as it came out of the factory and this is just how I like it. If you want to start using the sampler to double up each sample and work in stereo I would suggest investigating that upgrade – Personally I have always used it in mono mode which to my mind gives it the true sound for which it is famous. In either case you have options to expand should you wish. “This unit is in almost new condition and works flawlessly. This is a great and rare find. Prophet 2000 sampler. Beautiful condition, all working and has had the disc drive replaced with a SD card reader and has loads and loads of sounds on the SD card. Spring for pitch-bend was replaced. 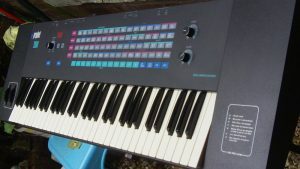 “Prophet 2000. Great condition(almost mint) , works perfectly and has had the disk drive replaced with a Lotharek (highly regarded) SD card reader (professionally installed by certified tech guy so it also looks great). 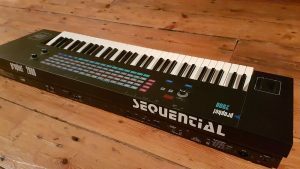 Comes with SD card full of sounds from the sequential library and also has many other sounds from moogs, 808’s, solinas analogue synths etc. 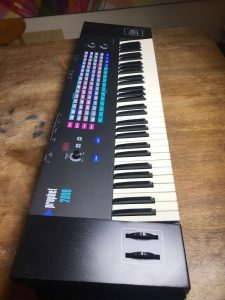 Reluctant sale of my prophet 2000, but I hardly get chance to use it so it has to go to someone who will. Comes with SD card reader which was professionally installed. The card reader makes saving and loading 100% reliable instead of having to use unreliable floppy disks. Comes with a large collection of sounds on the sd card. 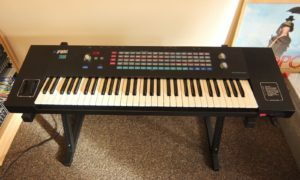 Loads of 808’s, linn drums, pads, keys, guitars etc. FULLY PROGRAMMABLE WITH VERY NICE AND USABLE ARPEGGIATOR. 12-BIT AT 16khz, 32khz or 42khz. OR BY OVERWRITING A DISK IMAGE. 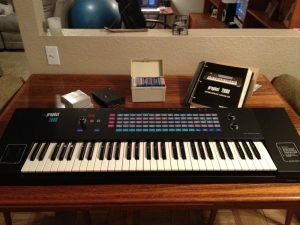 “Selling our Prophet 2000 Keyboard sampler. It has the maximized 512K memory and an upgraded hard drive. It functions perfectly and is in great condition. Has a few marks on the surface but minimal wear for its age. Comes with an SKB I Series waterproof case. We have made awesome sounds with this. For any questions we’ve been in touch with the people at Sequential Circuits and they’ve always helped us with the programming. 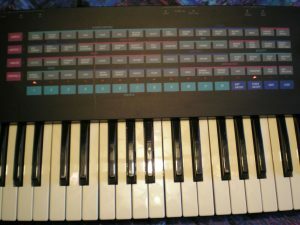 This synth powers up and some keys work but will need a full service/repair to get back to its former glory. “Water damaged Prophet 2000 sampler. Keyboard has top C broken. Extent of damage unknown, but would be useful for parts etc., or a restoration project. Sound generation is digital (Sampler), but the envelopes, amplifiers and filter are all analogue. 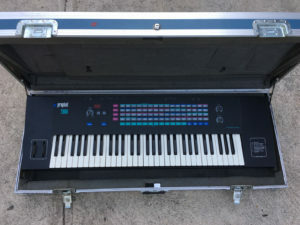 History of this particular synth is unknown, it came to me last year. “Up for auction a very rare and unique sampler by SCI, designed by Dave Smith. It is an 8-voice, 12-bit sampler with real Analog Filters and VCA. Deep editing and sampling capabilities. 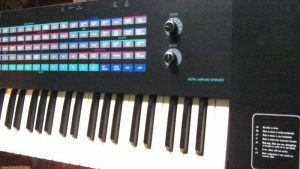 It has a built-in operating system, and some preset sounds (so one is not forced to use the floppy drive to use the sampler). 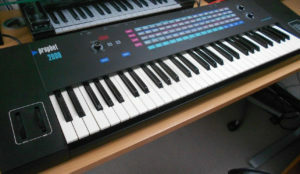 The sampler also includes a very unique arpeggiator with very musically useful parameters. It has an amazing UNISON mode, not often found on samplers- that is quite refreshing. I believe this sampler can produce and keep up with the same quality of sounds as the famous Emu Emulator II sampler. For most sounds and blind A/B tests I prefer the P2000 to the EII. Cosmetically the sampler is in good condition for it’s age. The original floppy drive has been replaced but the cover faceplate for that drive has been removed. It still operates and will load/save disks. I’ll include a few homemade disks of analog synths that I’ve made. I will also send a larger collection of digital disk images for this sampler. 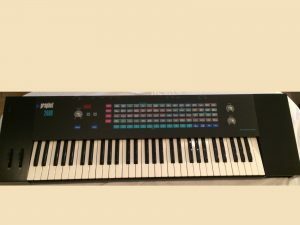 “The Legendary Prophet 2000 Sampler/synthesiser has been utilised by a multitude of famous pro performers & session musicians alike.A mainstay tool in the Recording Studios world.